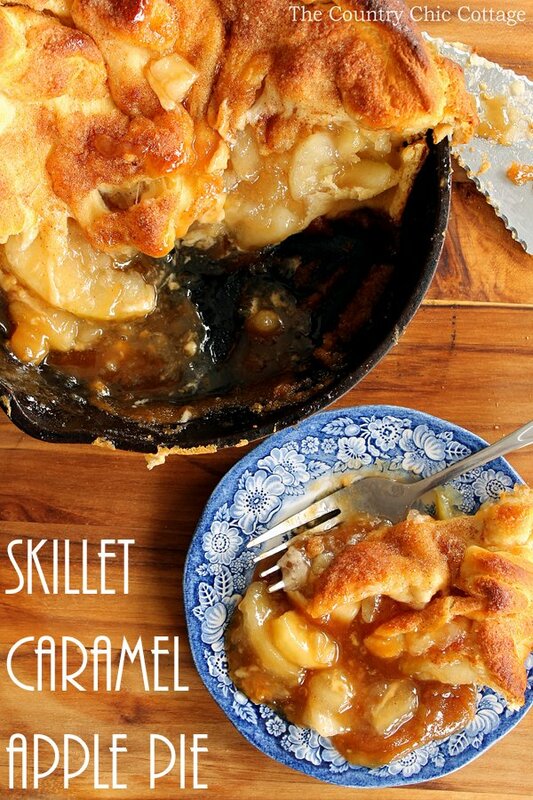 Y’all are going to flip over this skillet caramel apple pie recipe. When Pillsbury asked to sponsor a post I knew this one would be a hit! The secret ingredient to that crust? Pillsbury® Crescents®! This is one dessert your family will gobble up in no time! Serve up this week at Thanksgiving or save this recipe for a holiday party or “just because” any weeknight. 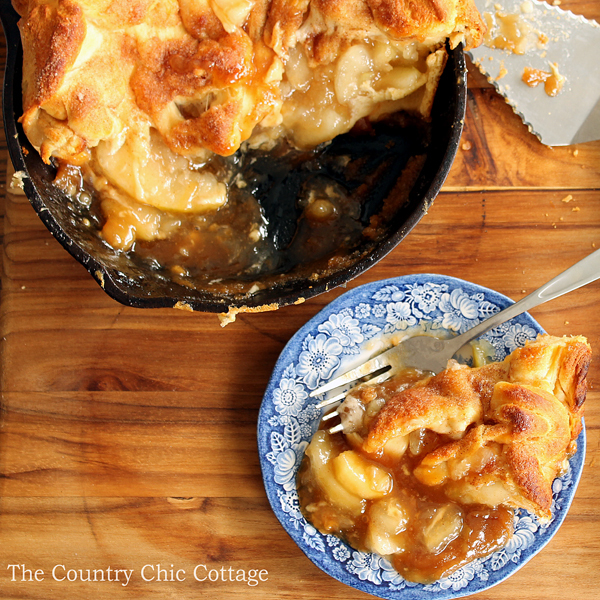 This super easy recipe will leave you wanting to make this pie again and again. I started by picking up my Pillsbury® Crescents® at Walmart. You will need two packages of the original rolls for this recipe. Preheat oven to 375 degrees. Start by mixing the sugar and cinnamon in a small bowl. This will be sprinkled on as a topping. Take one package of crescent rolls and arrange them in somewhat of a circle. 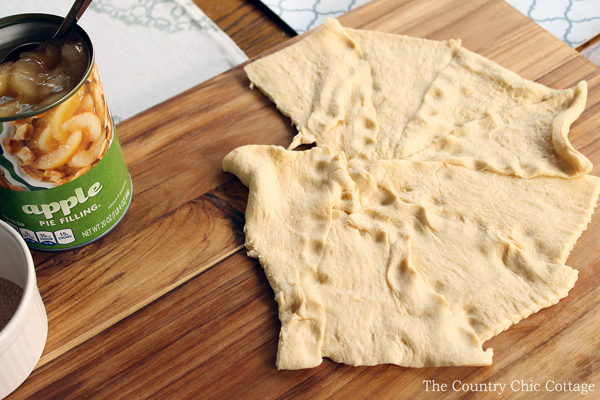 Press together the seams and flatten with a rolling pin or your hands. Melt the stick of butter in the skillet on the top of the stove. 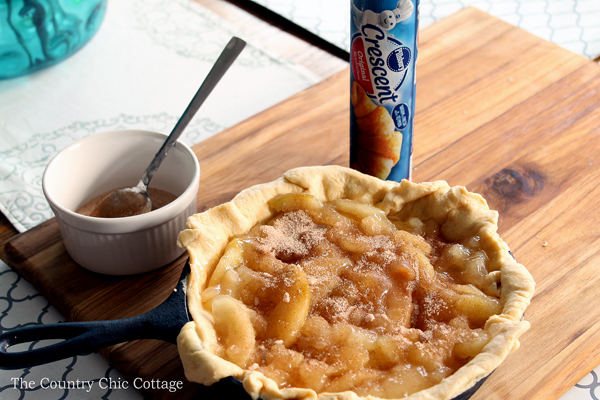 Use an 8 to 9 inch skillet for this pie. 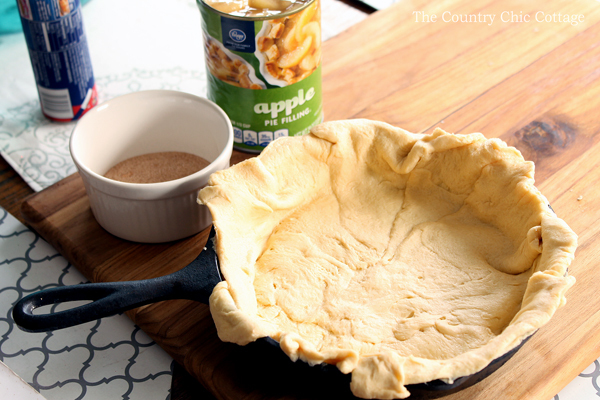 Set aside 1 tablespoon of the melted butter for the top crust. To the remaining butter, add the brown sugar and cook over medium heat about 2 minutes. Remove from the heat. You can see my caramel mixture below still bubbling! 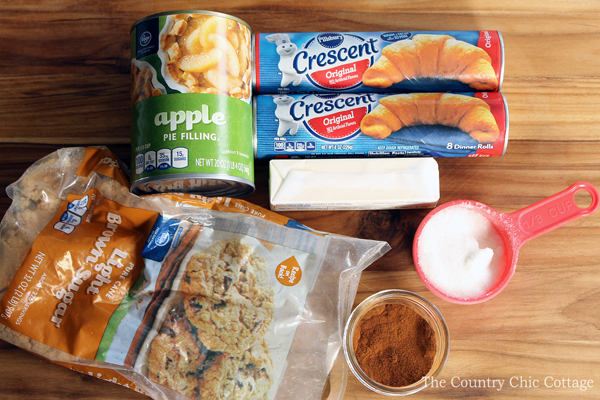 Flatten the second package of Pillsbury® Crescents® in the same manner as before and add to the top of the pie. I made mine very rustic and haphazard but you can definitely try for a prettier top. Brush with the remaining melted butter and sprinkle with the remaining cinnamon/sugar mixture. Cut vents in the top with a sharp knife. Bake for 18 – 20 minutes at 375 degrees. The top will be brown and you will be ready to dive right in! 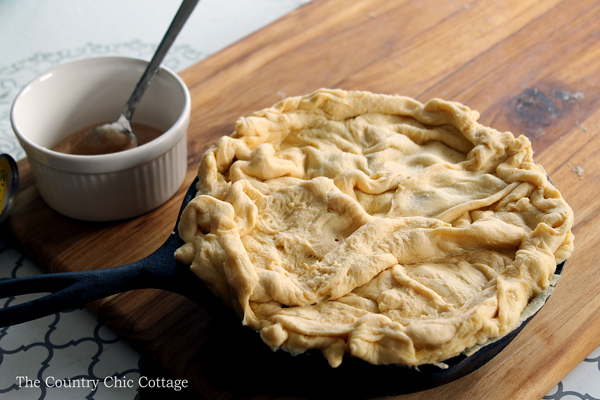 Serve up this pie by itself or with a scoop of vanilla ice cream on the top of a warm slice. 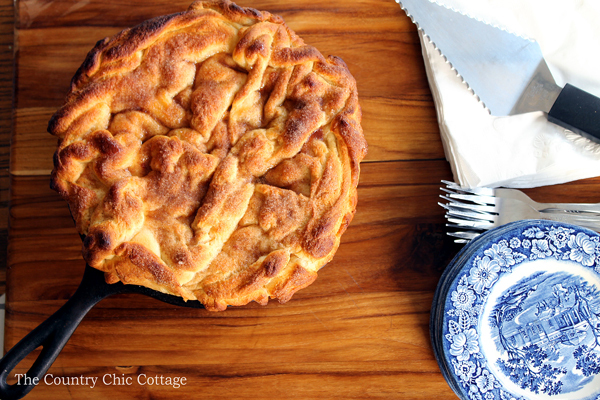 Either way this is one pie you will be making again and again! 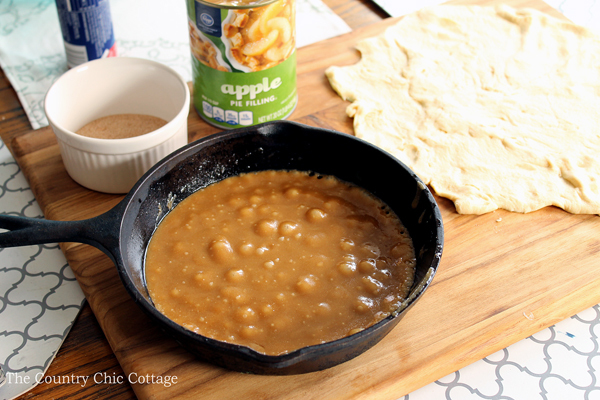 Serve up our skillet caramel apple pie recipe any time of the year! 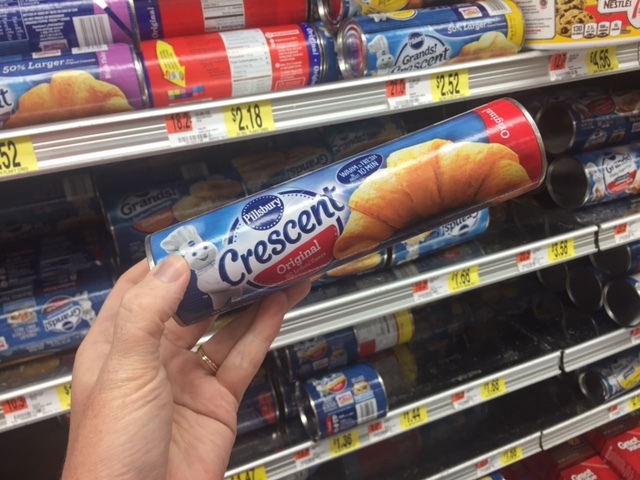 Be sure to pick up your Pillsbury® Crescents® at Walmart and get started on your own pie now! Need to print this recipe? Try the recipe card below! This recipe looks so delicious! Hi, I’m Anita visiting from Thursday Favorite Things Blog Hop.